By Scott Doorley and Scott Witthoft. This book offers lessons, insights, and practical suggestions gleaned from the experience of developing the Stanford University d.school. 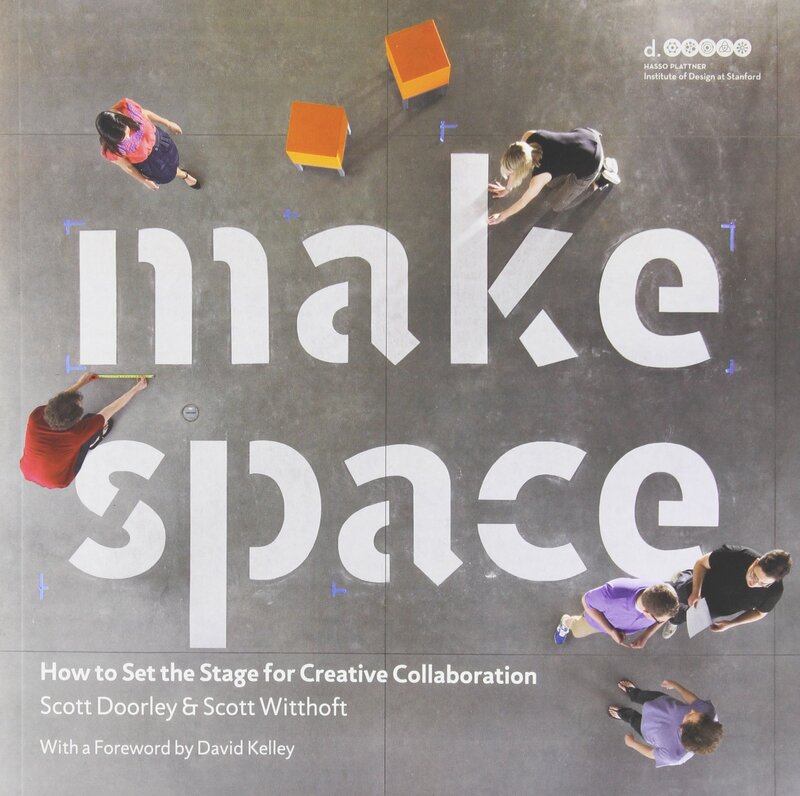 It’s a good resource for thinking about physical space, furniture, and how to arrange these elements in order to encourage creativity and collaboration. The book also gives instructions for fairly simple furniture you can build yourself, including details about where the authors purchased the materials.